CAREER HIGHLIGHTS: Appointed in 2008 to his current post, where he oversees design for all Mercedes-Benz vehicles and Daimler heavy trucks. 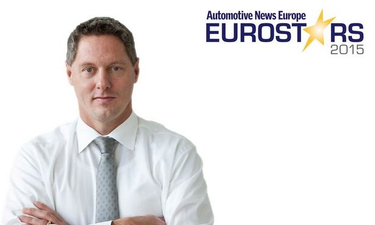 He worked as an exterior designer at Volkswagen, Mazda and General Motors before joining Mercedes in 1997. His first project at Mercedes was the 2000 Vision SLR concept, which morphed into the SLR McLaren low-volume supercar. REASON FOR WINNING: Wagener and his design team have delivered an impressive series of head-turning, hot-selling vehicles from the sleek all-new CLA compact sedan and GLA compact SUV to the stylish, latest-generation S class, which during its first full year of availability accounted for more than 100,000 sales, a record total for an upper-premium flagship. Wagener's designs are a big reason why Mercedes may pass Audi this year as the world's second-largest premium automaker.